Mitch Steele, author of the IPA book and former brewmaster at Stone Brewing joins me this week to discuss recent trends in India Pale Ale and the craft IPA revolution. 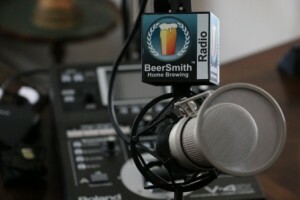 Today my guest is Mitch Steele, author of the book IPA: Brewing Techniques, Recipes and the Evolution of India Pale Ale (Amazon affiliate link). Mitch is also the former brewmaster at Stone brewing and is in the middle of launching a new brewery called New Realm Brewing Co in Atlanta, Georgia. We spend a few minutes updating everyone on some of the projects Mitch has been working on since leaving Stone. Mitch gives us his thoughts on the current state of craft beer IPAs which now dominate craft brewing in the US – in many cases making up 50% or more of the volume for many craft breweries. Mitch discusses some of the new IPA styles – starting with the controversial cloudy Northeast IPA style. We discuss Session IPAs which Mitch defines as a low alcohol IPA, and some of the challenges with balancing a session IPA. Mitch shares his thoughts on fruited IPAs including some of the better fruits to use, and how to balance these beers. We talk about triple IPAs including the popular Pliny the Younger from Russian River. Brad brings up the topic of turning every beer into an IPA – which has happened at some West coast breweries now. Mitch tells us why IPAs have a short shelf life and the importance of cold storage and expiration dates. We finish by talking about New Realm Brewing Co – the new brewery Mitch is opening this fall in Atlanta. I just want to take a minute and thank you for all the information you provide. Between your pod casts, website and wonderful beersmith app, my home brewed beers have reached a whole new level. Use of your tips on yeast starters, oxygenation and more I finally brewed a beer with a 86% attenuation and hit every other target I was going for on my latest IPA. Thank you again!! !